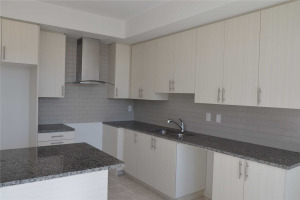 A Beautiful Townhouse Perfectly Situated In Established Community At Yonge & Davis. Bright Townhouse With Spacious Layout For Modern Lifestyle. Family Friendly Neighborhood. Immediate Access To The Best Of Newmarket's Urban Lifestyle. Close To Go Transit & Viva, Costco, Upper Canada Mall, School. 9Ft Ceiling On Ground & Main Floor. Open Gourmet Eat-In Kitchen With Sleek Custom Cabinetry, Extended Breakfast Bar, Granite Countertops And Contemporary Backsplash. S/S Fridge, S/S Stove, S/S Dishwasher, S/S Chimney Hood With Glass Canopy, Washer/Dryer, All Electric Light Fixtures. Granite Countertops, Kitchen Cabinetry, Ceramic Backsplash, Energy Efficient Water Saver Shower And Toilet Tanks.